This was a simple macro. Only did auto contrast, and tweaked the levels a bit. That's it! Lovely capture with awesome choice of DOF. 10. This is lovely, bokeh is very well done! Edit: I think this is the best in the entire challenge..upgrading to a 10. Well done! 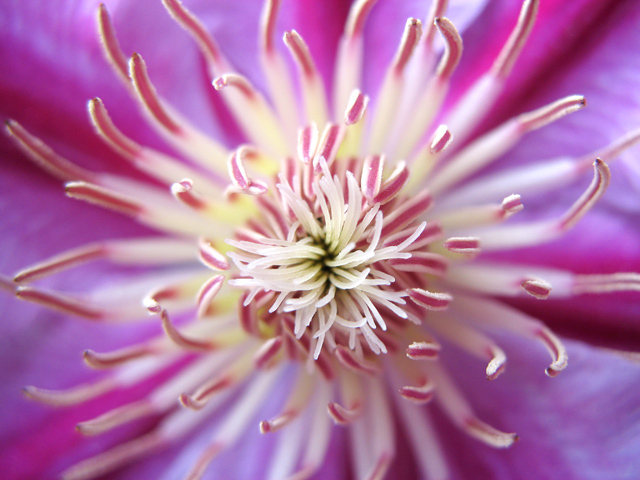 I just love all the textures of clematis...they almost look like sea creatures when photographed so intimately...very nice. Proudly hosted by Sargasso Networks. Current Server Time: 04/19/2019 11:13:03 PM EDT.